There are only so many “How Recruiting is Like Dating” posts one HR professional can stand, so here’s a new take. Willy Wonka was the best recruiter of all time! He scouted around the world to find the child best suited for the position of CEO of the Wonka Chocolate Factory. And find him he did! Mr. Wonka leads us through the toughest recruiting escapade of his life. 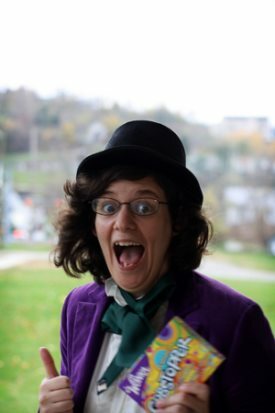 A lot of hard work, dedication and thought went into finding Charlie, and here’s how Wonka did it. Wonka gave it ‘em straight. He led them through each process and thoroughly explained them. As the tour went on, the candidates got to see every aspect of the factory and experience the company culture as the Oompa Loompas led them in song. Although Wonka highlighted the good aspects of the factory, he didn’t shield them from the dangers and downfalls of factory life. Negotiations and communication are the final steps in the hiring process. What may seem like a deal breaker doesn’t necessarily have to be. Having a full profile of the candidate and detailed understanding of their expectations lends the recruiter tools for negotiations. Yeah, Charlie broke a rule or two, which looked like a deal breaker to Wonka, but in the end, his honest and integrity landed him the position. That designer may want a higher salary than you can offer, but if you know that upward mobility is equally as important to him, highlight that and see what happens instead of moving on to the next kid…er candidate. Cool photo by Ginnerobot on Flikr!